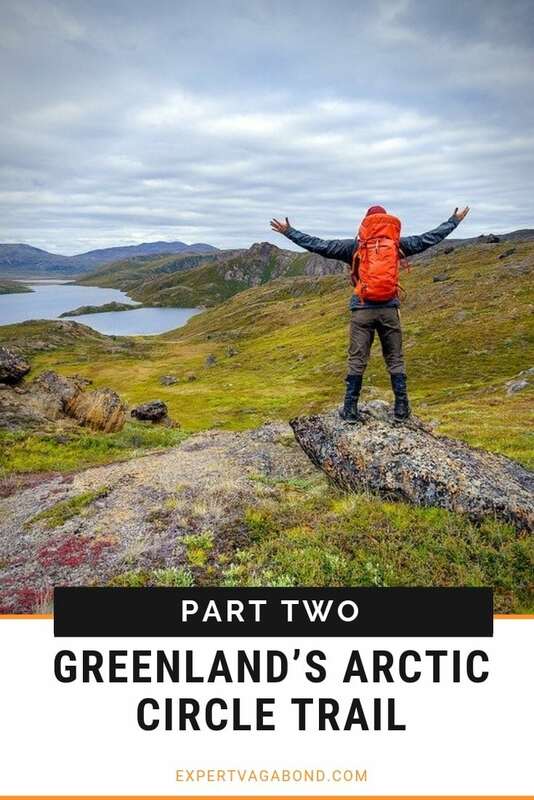 The adventure continues as I trek across West Greenland’s colorful tundra on a trail that winds between numerous glacial lakes. Bleached reindeer bones guide the way. Arriving at Hundesø in the middle of the night, I decide to camp nearby rather than wake any potential hikers/hunters that may be sleeping inside. This cabin isn’t exactly “offical” like others along the hike, but anyone is free to use it. 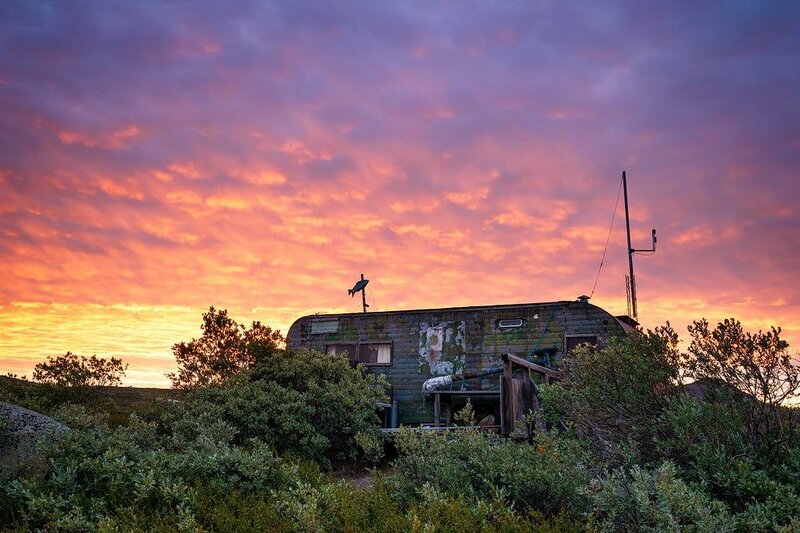 Basically it’s just an old camper with room for 4 people, perched on a rocky hill overlooking the brackish Hundesø Lake. 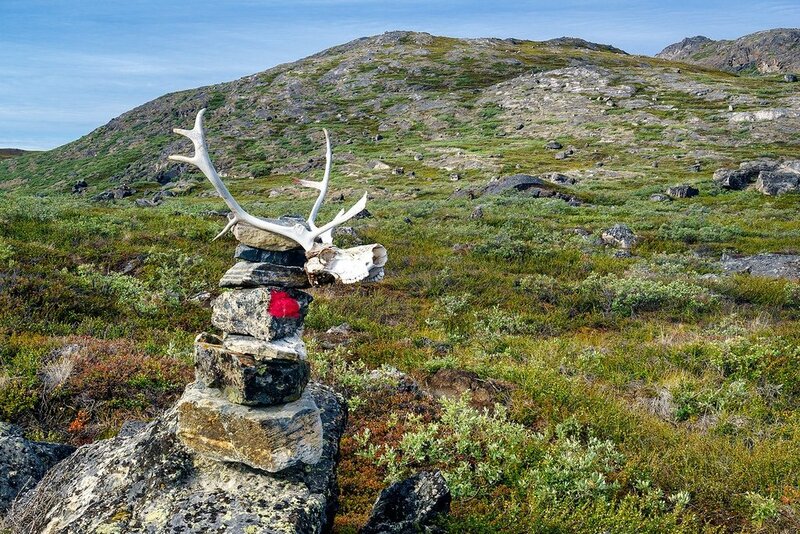 Reindeer bones litter the area including piles of skulls, antlers, and hooves. Some of the bones still had flesh & fur attached. Fresh kills. Hundesø lake is salty but completely safe to drink. A few crumbling fishing boats sit on the shore. Sleeping on its sandy beach made for a comfortable night. I woke to the bright orange glow of an incredible sunrise around 4:30am. Once I’d captured the colors on my camera, I went back to sleep with the help of an eyemask. 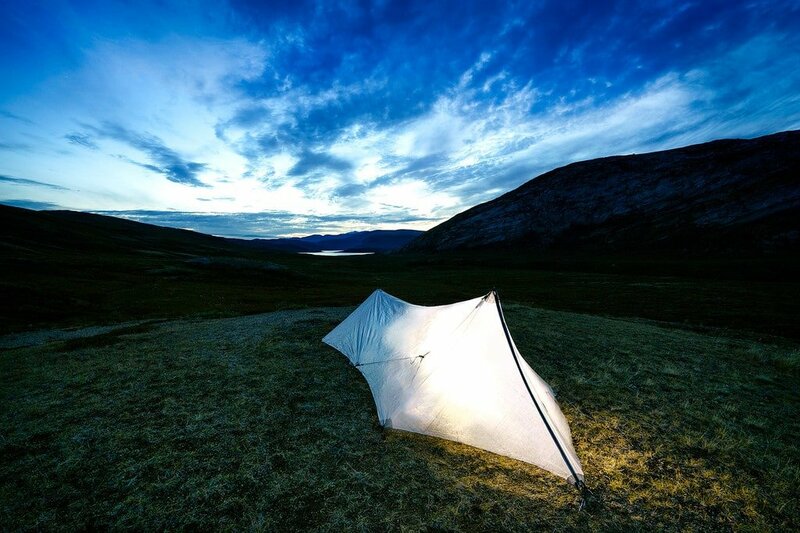 August in Greenland means there’s only 4 hours of darkness each night! Highly recommend one. Back on the trail for a few hours and my knee began to ache. This happens occasionally when I’m loaded down with a lot of gear on long-distance hikes. It can get pretty bad, but I’ve learned how to deal with it by slowing down with long breaks every hour. It usually heals up by the next day. 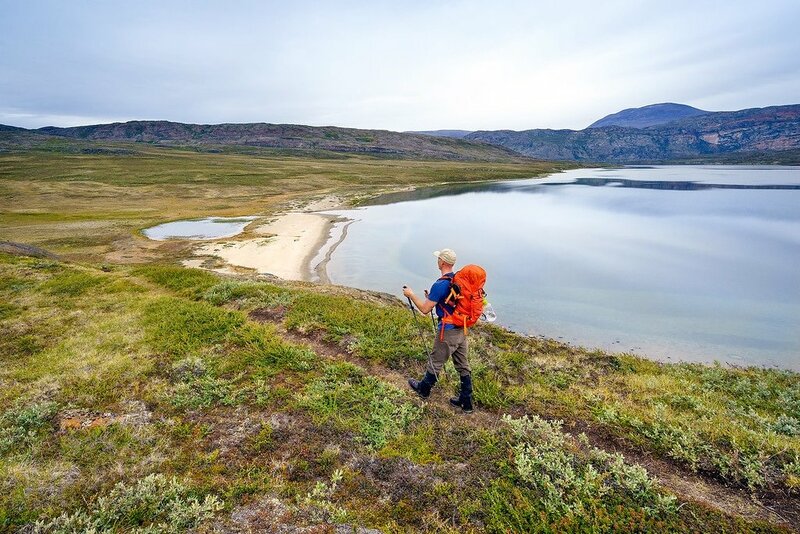 On a remote adventure like this, you need to be extra careful. 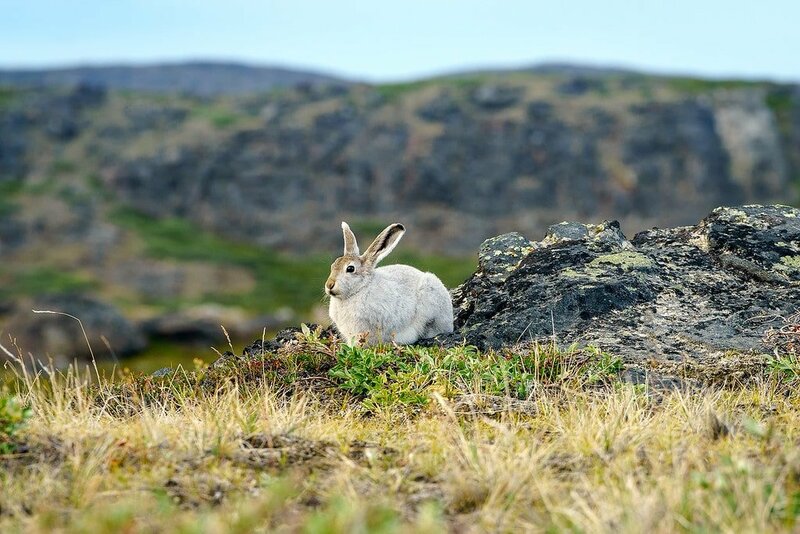 I entertained myself by watching Arctic hares do this hilarious “seizure jump” thing they do. They’d be chilling one minute, then suddenly leaping & twisting into the air for no reason the next. It looks ridiculous. Tweakers I tell ya! The temperature rose to a toasty 65 degrees (F) as the sun came out, and I found a nice mossy area to nap in. Rolling over only to snack on the tasty crack-berries the rabbits loved so much. 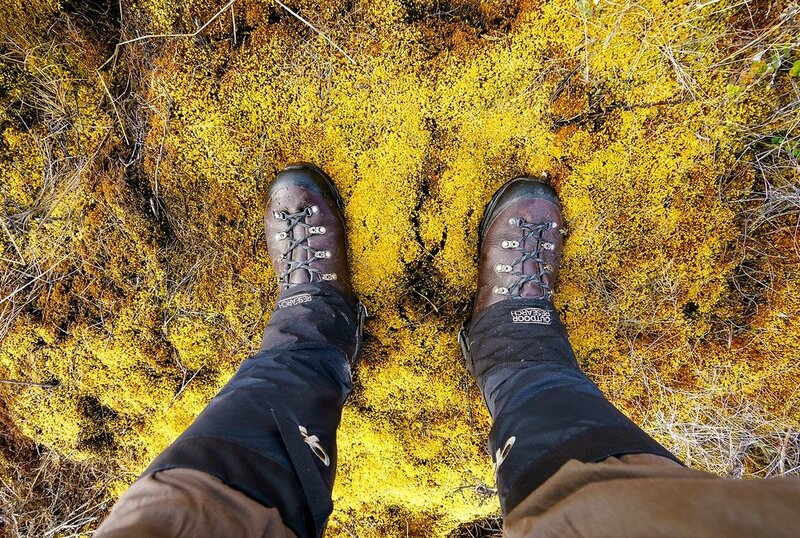 Landscapes morphed from wet boggy areas into rocky mountain trails. Occasionally the path would branch off in different directions, forcing you to guess. 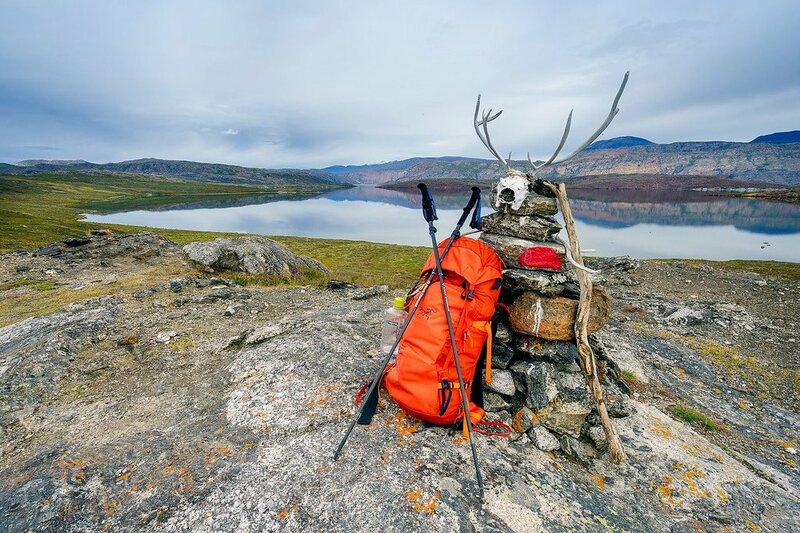 The most traveled route wasn’t always where the marked cairns were. Due to my aching knee, it took 8 hours to finally reach the next cabin when it should’ve been about 5 hours at my normal pace. I hobbled in to find three other hikers preparing dinner. 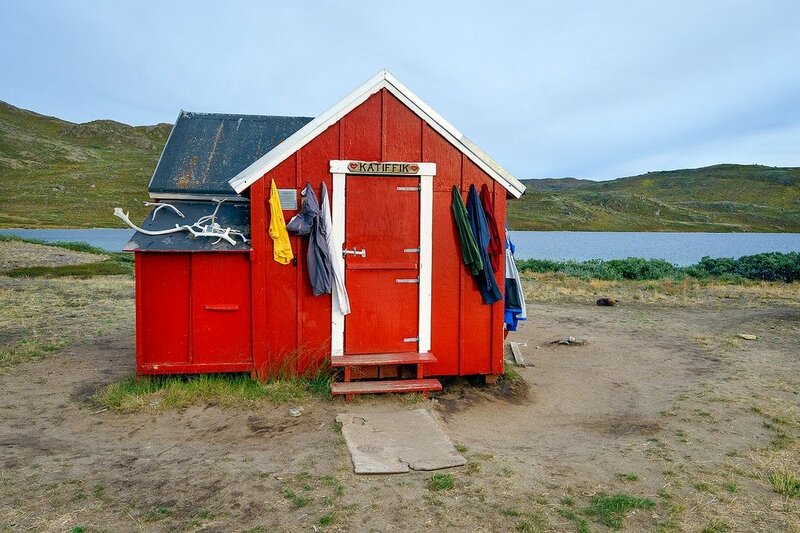 The Katiffik hut is located on the eastern shore of Lake Amitsorsuaq, a long and narrow body of water that stretches about 14 miles. I run into my first hikers here. Lucas from Washington DC and two Germans — Hans & Hieko. 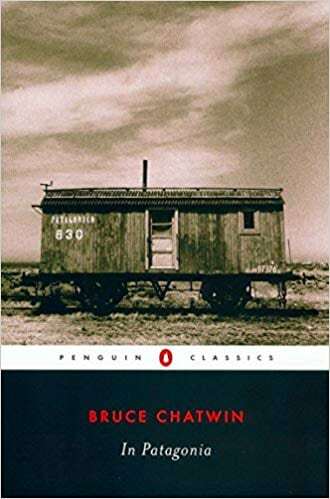 I shared the cabin with Lucas while the Germans camped in a tent outside. In the middle of the night we find ourselves with another roommate. 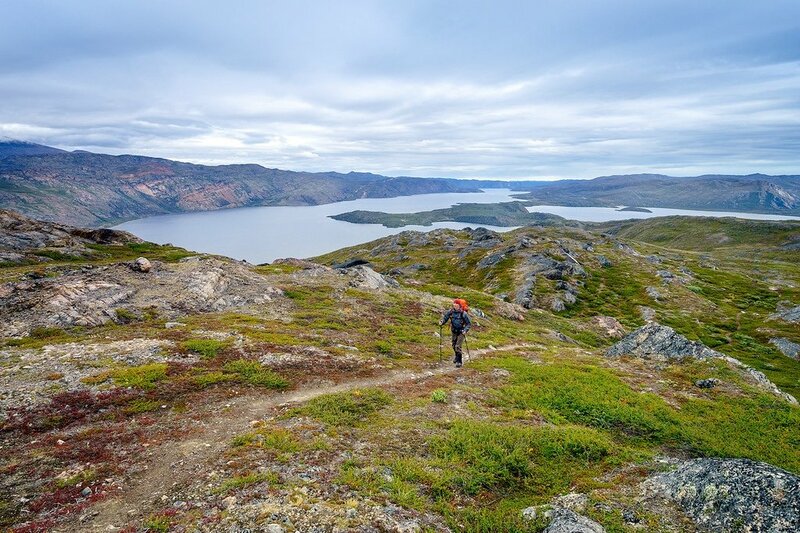 Frieder is a 70 year old Danish guy who’s hiked the Arctic Circle Trail 11 times. He’s brought us a fantastic surprise too. A canoe! See, there are two ways to travel the next section of the trail. Walking beside the lake all day, or paddling across it in a beat-up canoe. It’s pure luck if you find a canoe, rumor is there’s 10-14 scattered about. Most are bashed up good, like they’ve been dropped off a cliff. Holes patched with duct tape. Makeshift paddles carved from 2x4s. Luckily Frieder was hiking in the opposite direction, West to East. 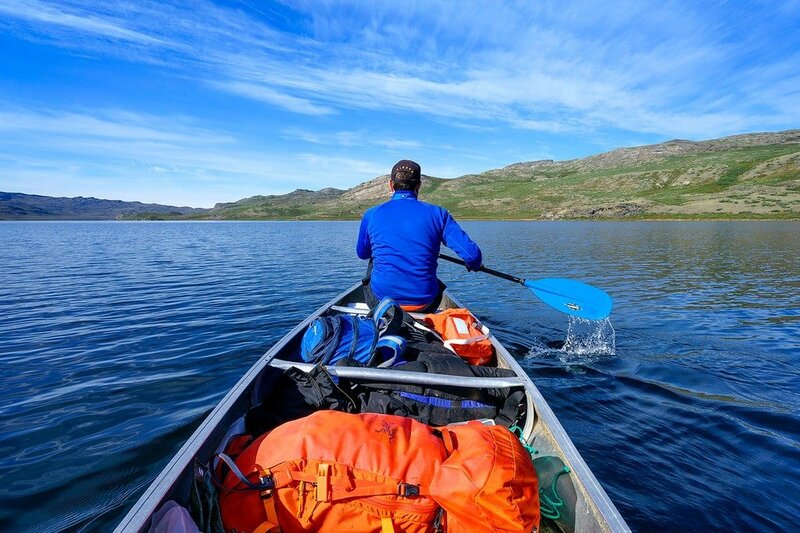 He crossed the lake at night in what was easily the best canoe available. Lucas & I teamed up to make use of this gift and give our feet a rest. Heavy duty garbage bags are one of my favorite pieces of gear to pack on a trek. You can use them as ground tarps, rain covers, drybags, etc. They weigh & cost almost nothing. 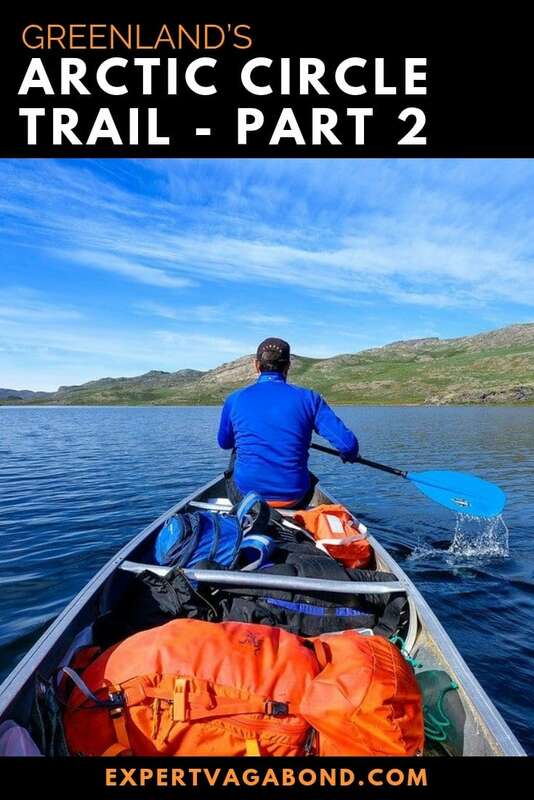 We lined the bottom of our leaky canoe with plastic, threw our packs in, and set out across the lake. One paddle was made of plastic, the other was a piece of treated wood wrapped in duck tape. 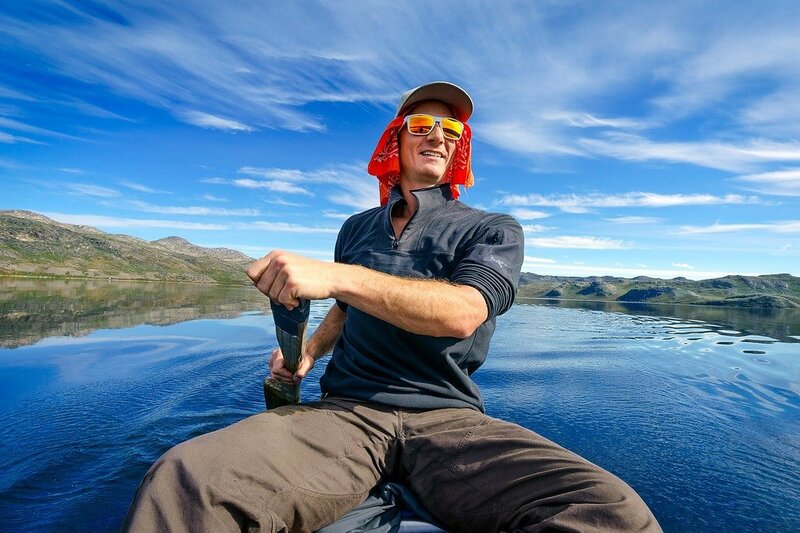 With no headwind, we made great time in the bright arctic sun. 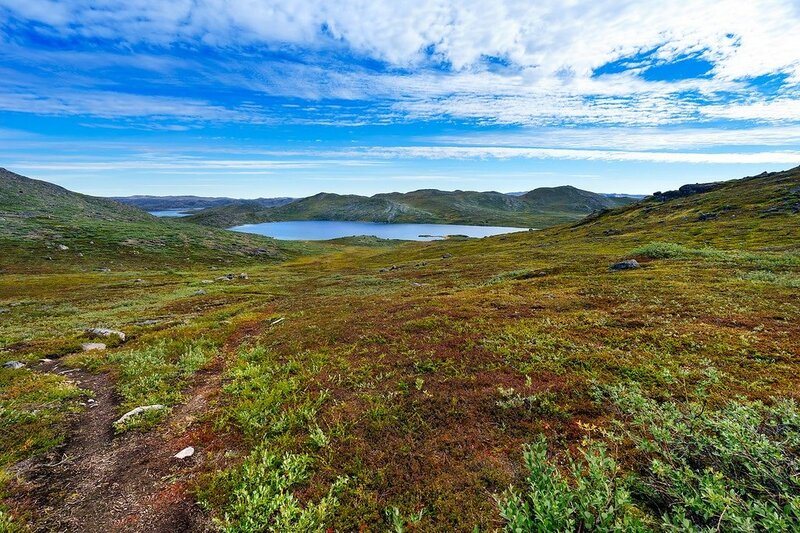 Apparently there’s a lot of gold, diamonds, and rubies buried in Greenland. We paddled past rocky cliffs decorated by multi-colored layers of bedrock, wondering how many millions were hidden inside. 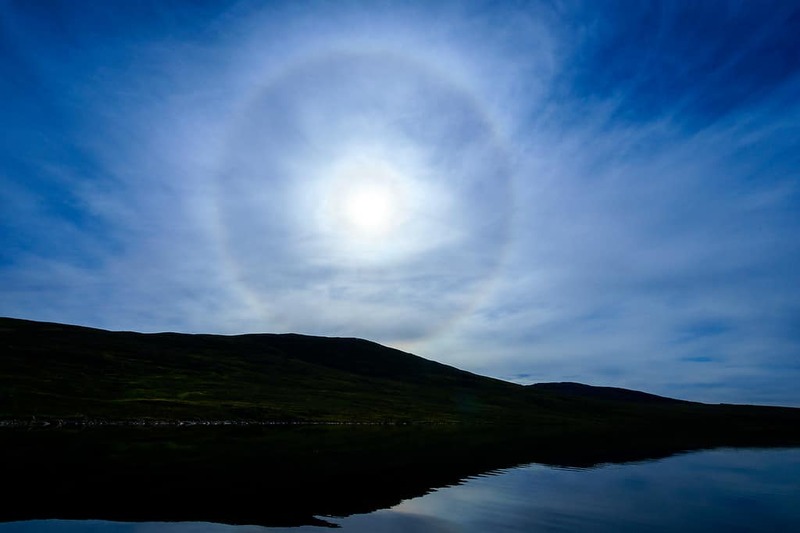 I noticed an ice halo around the sun, a cool atmospheric phenomenon caused by sunlight reflecting off of ice crystals suspended in the air. It only took about 4 1/2 hours by boat to reach the Canoe Center, the next cabin on the trail. This is the largest shelter with space for 16 people. It was built as part of a failed business, hence the random canoes out here. Shortly after we arrived the Germans joined us. They’d walked along the lake but set out a few hours earlier. So traveling by canoe was much faster than walking. I was feeling wonderful after giving my feet (and knee) a break. Rather than stay at the Canoe Center I decided to push on solo further down the lake using a second canoe. But the wind had picked up and it wasn’t easy. My craft was repeatedly swept against the shore. 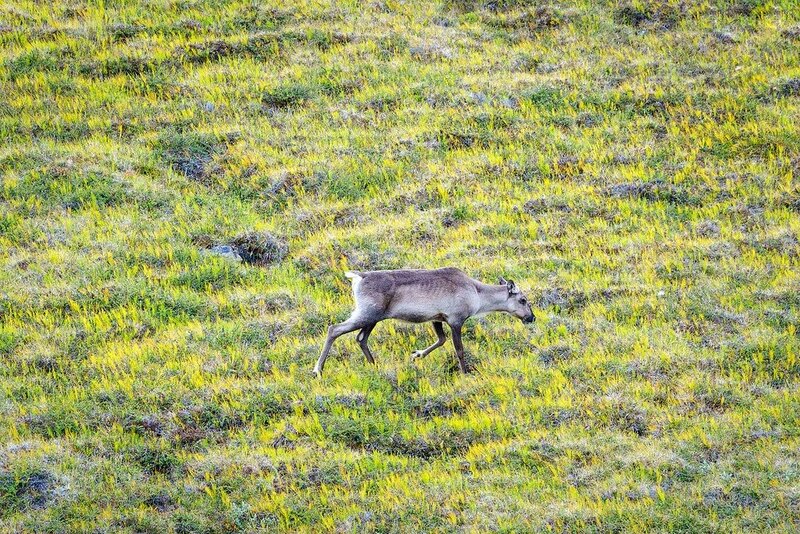 A pair of reindeer on the hills above the lake spotted me and ran off. However there was no way to pull out my camera due to the strong wind. By the time I reached the end of the lake, I was exhausted from the battle. Walking for another few hours, I stop to make camp as the sun sets. 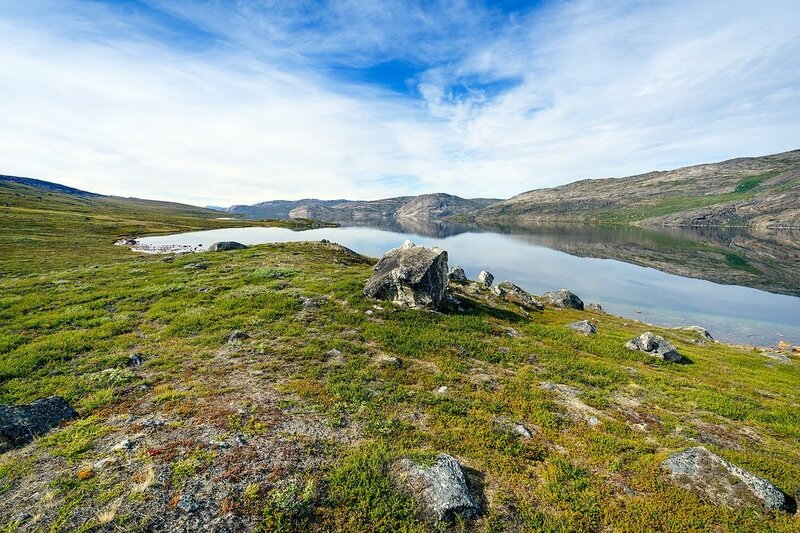 My camping spot is located in a valley just above Lake Kangerluatsiarsuaq. 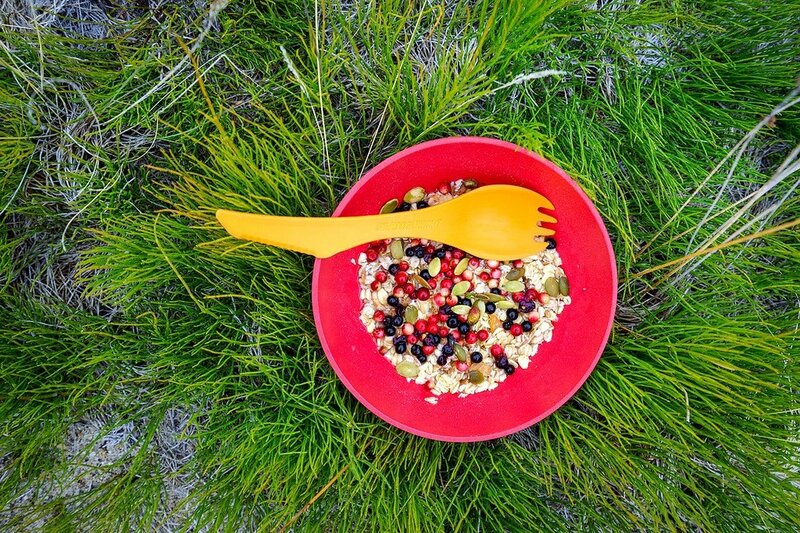 Packing up the tent, I head down to the lake for a tasty breakfast of cold muesli mixed with water, brown sugar, and wild berries. Yum! 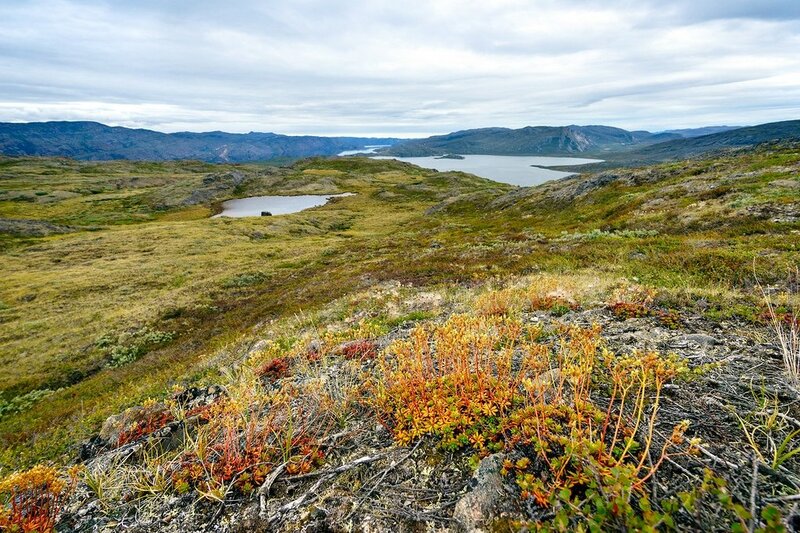 There are at least 3 varieties of arctic berries growing along the trail. Blueberries and black Crowberries, plus some red ones whose name I’m not aware of. All are edible. My favorite, and the least common, are the red ones that taste like crispy sour apples. You can gather berries almost everywhere, and I always have a stash saved up for breakfast. Splashing ice-cold lake water on my face I’m ready to start the day. Loons laugh from the water as I follow the winding path next to the shore. A sharp screeching sound catches my attention. It’s a beautiful Peregrine falcon perched on a rock, warning me to stay away. An hour or so into the hike, the trail meanders up & down a series of rocky hills. Around a corner I discover a pristine little beach on the edge of the lake. If the sun was out, this would be the perfect spot to get a tan! Past this lake the route gets very steep. While climbing up a rugged cliff I spot a few reindeer who haven’t noticed me yet. Most reindeer will run if they see you. What does one do alone to pass the time on a long distance hike? Hunt down wild animals with a camera of course! The trail climbs higher and higher until you’re walking on bare rock for most of the time. Darker clouds moved in and a light rain began to fall. I stop to put on my rain shell and see yet another arctic hare in the bushes. So far I’ve seen 5 of them now, along with 5 reindeer too. The rain suddenly picks up, becoming steady. Glancing at my map I can tell the Ikkattooq hut is not too far further ahead. I was planning to skip it and push on, but the crappy weather is giving me second thoughts. I finally arrive to a little red cabin (it looks like a garden shed) perched between two mountains on a broad platform of rock. Peering inside, it seems I won’t be the only one spending the night here. Two others are tucked away into sleeping bags. They wake up from their nap & offer me hot tea as I prepare an oily canned fish sandwich for dinner. Hi Matt, your photos are amazing. Just wondering what camera/lens you use? Hey Jade! Thanks. I currently use a Sony A7RII, 16-35mm 4.0, and 70-200mm 4.0. 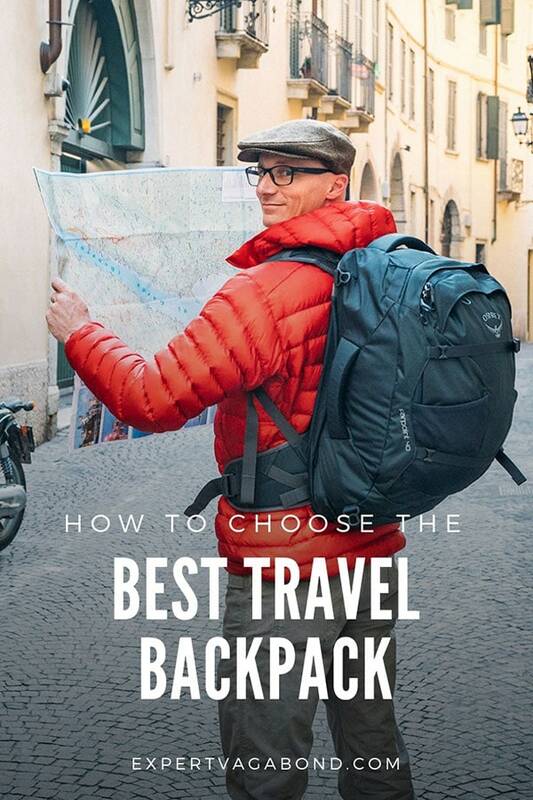 You can see all my travel gear here. Wow great photos! I would love to go to the article circle. Great post, as always. Hares don’t have a patent on those psycho bunny hops — they’re called binkies (not kidding) and my domestic rabbit did them too. Very hard to catch on camera! Cool! I didn’t know that Jessica. Yeah I kept trying to catch one in mid air. Tough to do. So funny to watch though. Your photos are so beautiful, as always. I only wish you’d caught a picture of one of the hares doing its seizure jump! Is it safe to travel there alone..for a female? Any chance we can get lost or anything? I’d only recommend hiking this trail if you have lots of past experience hiking & camping on your own. Including training on how to properly use a map & compass. The only thing dangerous about Greenland is the weather. Being a woman has nothing to do with it! In fact, the current record holder for the fastest time is a local girl. She ran the whole thing in 48 hours! This isn’t a day hike though. It’s a week or more in the wilderness, carrying everything you need to live on your back, with no easy way to get help. Hopefully that will change in the future if more Americans start to visit! Beautiful photos, made me think of ‘The Secret Life of Walter Mitty’ where he goes to Greenland. The landscapes unique and looks like an incredible place to get away from it all. Any wild predators that you have to watch out for? No dangerous predators. All the polar bears are in East Greenland, not around here. But musk ox can charge you if they feel threatened, so you have to keep your distance from them. I saw a posted warning about a rabid fox too. Ahhhhhhhhh (screaming sounds)…I want to hear the incredible stories!!! Hurry up and publish Part 3! Stunning photography! Beautifully captured Matt! 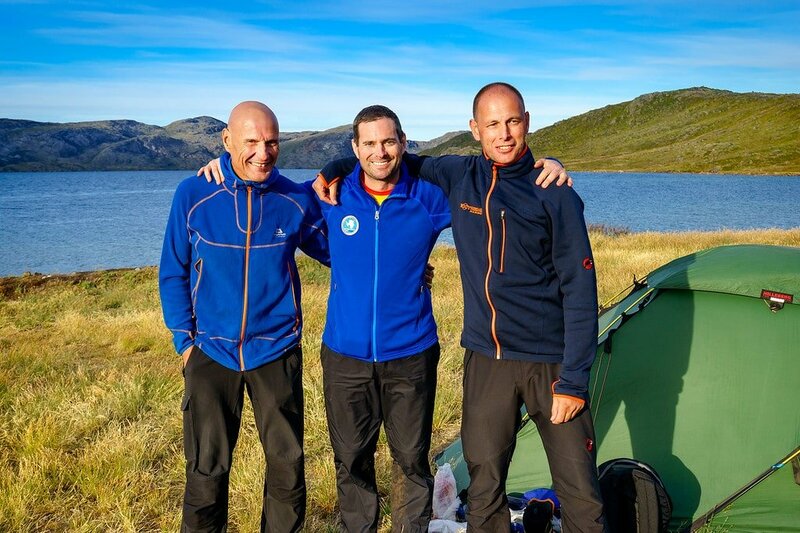 What kind of tent did you end up bringing along? Always on the lookout of something lightweight and compact. You can’t get much lighter than the HMG Echo II. I used the tarp & beak — it weighed nothing.